Toronto, March 28: Yale University, which ranks amongst the top of the Ivy League school chart has expelled a student whose parents have been charged with paying a bribe to get her in. Yale is the first university to take such an action after the admissions scandal erupted earlier this month. US authorities have till date charged 50 people in a scam, which was set up to help children of the rich Americans gain entry into top US universities. Other top schools like the University of Southern California, Stanford and Georgetown, were targeted in the scam which was allegedly organised by mastermind Rick Singer. The admissions scandal uncovered an elaborate setup which included sports coaches who gave false recommendations, university examiners who manipulated test scores or even wrote tests and administrators who accepted bribes to help the student gain admission in to the Ivy League university. 33 parents have accused of paying bribes totalling some US $6.5 million to guarantee admission for their children. In a statement on its website, Yale said it had first learnt about the scheme in mid-November, when it was approached by the Boston US Attorney's Office requesting information about head women's soccer coach Rudy Meredith. One of the two was accepted into Yale in January 2018, after her relatives paid USD 1.2 million in bribes according to the charge sheet against Meredith. The coach also received USD 400,000 from a go-between who organised the arrangement though. 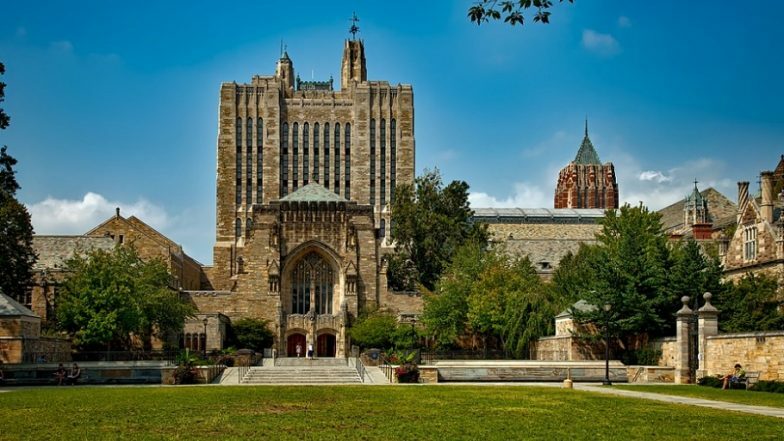 "Yale investigated the allegations, and the admission of the student who received a fraudulent endorsement has been rescinded," the university said.